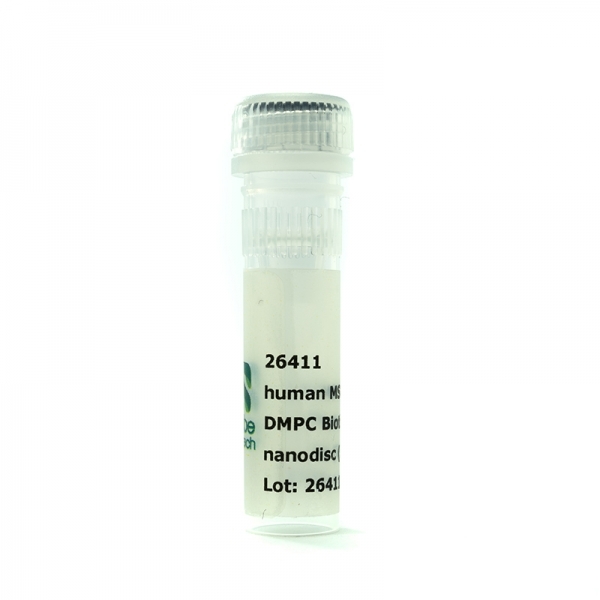 Product information "Nanodisc MSP1D1-His_DMPC_Biotinyl_PE (50 µl)"
50 microliter pre-assembled nanodisc, 0.5 mM concentrated, containing MSP1D1-His protein and DMPC + 10% biotinylated PE lipids. For use in cell-free reactions. Shipped on dry ice - additional freight cost may apply. Related links to "Nanodisc MSP1D1-His_DMPC_Biotinyl_PE (50 µl)"